An art form that is so appealing and full of passion. 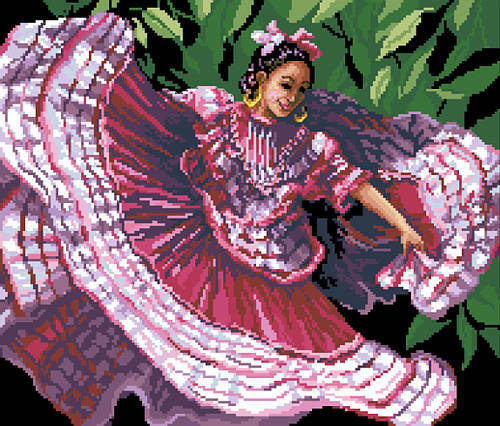 This young lady's soul emanates poetic inspiration as she stamps out her Jalisco roots to the relentless folkloric rhythms. Join in as you stitch to the beat of the footsteps. This colorful design will add a splash of color wherever you display it. Contents: Stitch Count 197w X 168h, Finished Size on black 14-count 14" X 12"